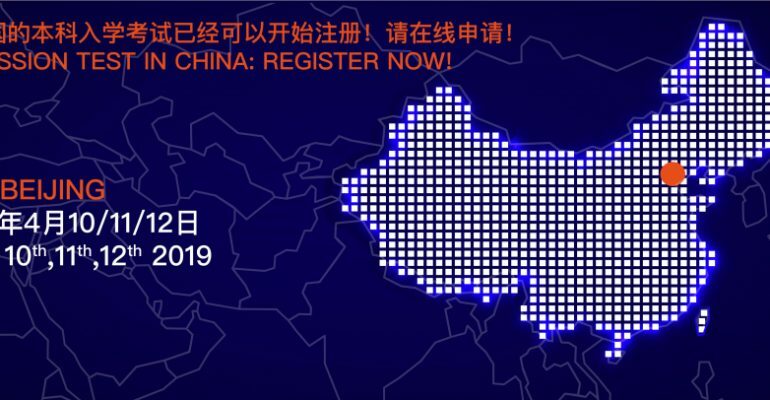 Beijing (China): you can register for the tests that will take place on 10 / 11 / 12 April 2019 until 12p.m. (Italian time) of Tuesday 9 April 2019. Extra session for non-EU students living outside Italy with a foreign degree: you can register for the test that will take place on 12 September 2019 until 12 p.m. of Wednesday 11 September.